You can get a cheery mood and energy boost from nettle leaf and particularly from raw dried nettle seed (technically fruits and seeds), rubbed through a sieve to remove the irritating hairs. The ‘feel-good’ factor from eating raw dried nettle fruits/seeds is caused by the neurotransmitters acetylcholine nd serotonin, with choline and histamine also found in uncooked nettle venom. In herbal medicine they are used as an adrenal tonic for people who are burnt-out, run down, fatigued and low in energy, zest for life and libido. Acetylcholine is the most abundant neurotransmitter in our brains. It stimulates the nervous system (ANS), improving mood and heightening sensory perception, attention span, vigilance and intuition. Acetylcholine disruption may be a primary cause of depression and possibly Alzheimer’s and muscle degeneration. Serotonin is mainly found in the gut and it also acts on the nervous system (CNS). Its main functions include regulation of mood, appetite, and sleep, and it influences memory and learning. Serotonin in nettle spines causes pain when you pick them! Its abundance in many seeds and fruits may be to stimulate the gut to expel the seeds, and it can cause diarrhoea in quantity. 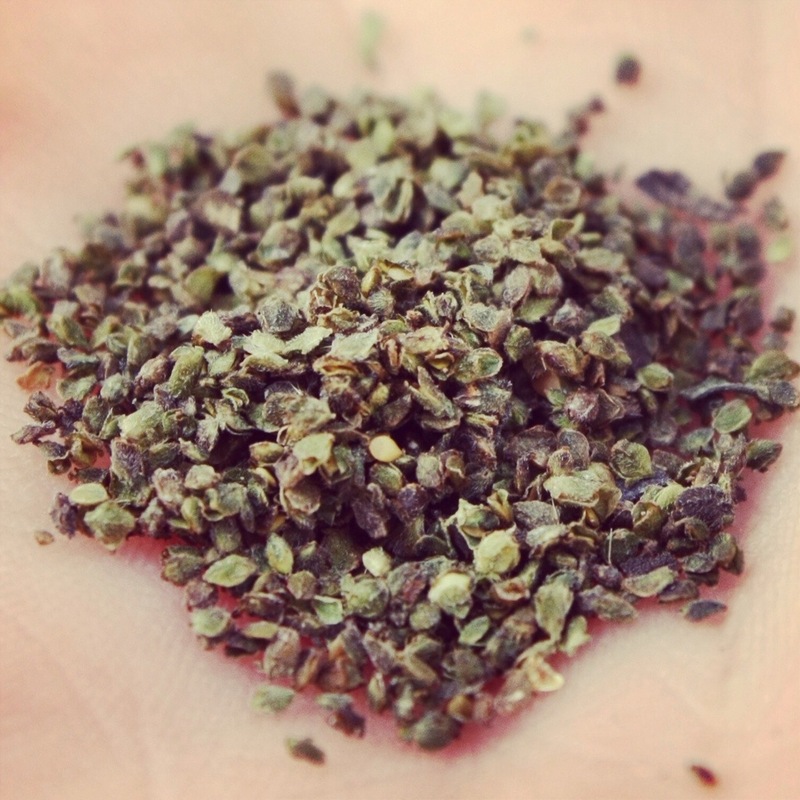 Nettle seed is used therapeutically both as freshly picked seed and as fresh nettle seed tincture. Chew 5-20 grams of fresh green nettle seed well, as a refreshing stimulant. You can take 1 to 2 tablespoons a day. Some people experiment with nettle seed for recreation but we advise not exceeding this amount. Be careful too, if you boil fresh nettle fruit/seed in a ratio of 1:12 (eg 50 grams fruit/seed to 600 ml of water), a large wineglassful (250ml) may keep you wide awake for 12-36 hours! Nettle seed also tastes delicious toasted and can be used instead of poppy seed in crackers, bread and sprinkled with chopped nuts into salads. Incidentally, the prescence of acetylcholine in nettle venom may well explain why the ancient practice of urtification (whipping with nettles for pain relief) works! Anything which increases the presence of acetylcholine in the synaptic space is found to produce analgesia. Benzodiazepines for example act as analgesics through their action of enhancing acetylcholine release. Hi Monica – I really enjoy your articles, I hope you don’t mind me sharing some of them on my FB page. As a holistic therapist and allotmenteer who is thoroughly in favour of eating EVERYTHING that grows there, if possible, these really hit the spot for me. Of course, I do! Thanks, Lisa. Thanks for this article, Monica. This is now the right season for making nettle soup. I’ll post in Many Roads with the usual links. Really interesting, I never knew nettle seeds were a stimulant. I forage for nettles and use the leaves regularly in place of spinach, but never tried the seeds. Could be a caffeine alternative to the morning coffee! My website is letsgrowwild.uk and has a few pages on foraging for beginners. Perhaps you might consider a guest posting sometime to promote your foraging courses? The more we learn about the benefits of free, wild food, the better! They’re not caffeinated but a serotonin booster, adrenal tonic and highly energising – without the downside of caffeine. Nettle leaf tea very nourishing and energising too. Yes will write a guest post. Thanks for asking.